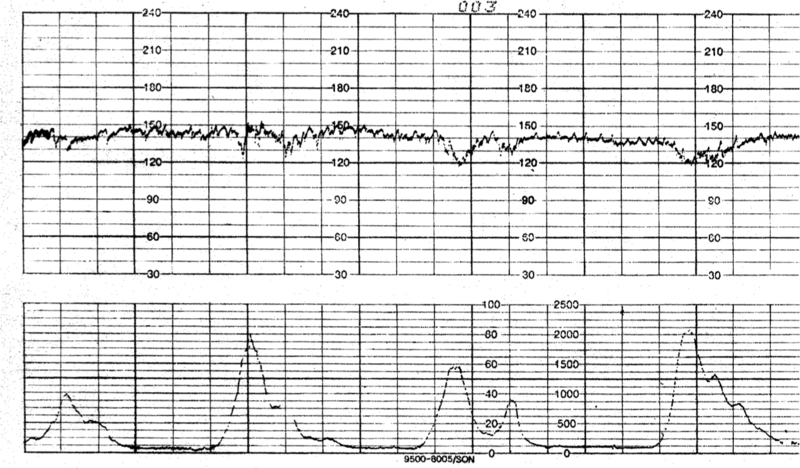 Did our first cardiotocography (CTG) scan today which records/graphs the fetal heartbeat (cardio-, measured in BPM) and uterine contractions (-toco-, measuring the mom’s abdominal wall tension in % pressure) during pregnancy via two transducers placed either externally or internally. Based on today’s 30 min scan, I’m still in pre-labor – multiple short (<30sec), mild and irregular contractions with baby's heart fluctuating between 140-150 BPM. Fetal activity remains frequent though the baby's growth is slowing a little (pheew!). These contractions should grow stronger and more rhythmic with increased cervical effacement (shortening and thinning of the cervix from 0-100%) and dilation (opening of the cervix from 0-10cm) in the next few days – see below. Doc is away this weekend but should (hopefully? better?!) be back when I enter the first stage of labor which begins with regular uterine contractions and is generally split in three phases: Latent/Early, Active, and Transitional. We’ll check into the hospital when the contractions get to the active phase – regular 5-1-1 (5 mins apart lasting 1 min each over 1 hour) and my cervix widens to 3/4 cm. This then widens to 8 cm (transitional phase) and finally 10 cm (second stage of labor) aka time to push and DELIVER! Week 30: Hive of activity! It’s tough to sleep comfortably through the night, though baby and I are enjoying hubby’s daily massage before bed. Work is also chugging along – with 7 weeks to go before my maternity leave, I’m inundated by stuff to settle and transition with my team and bosses. At least this weekend, we snuck in some pre-baby “us” time in between family dinners, baby shopping and more domestic helper interviews. Despite all the hectic-ness outside, the best is still what’s developing inside. Month 7 check up went well, baby’s in the right spot (head down, bump front). His head won’t engage till a few more weeks but doc predicts a normal delivery for us. We’re scheduling a growth scan and Glucose Tolerance Test in 2 weeks – the latter at my prompting b/c the baby seems quite large, even though there’s no major weight gain, diabetic history or symptoms on my end. 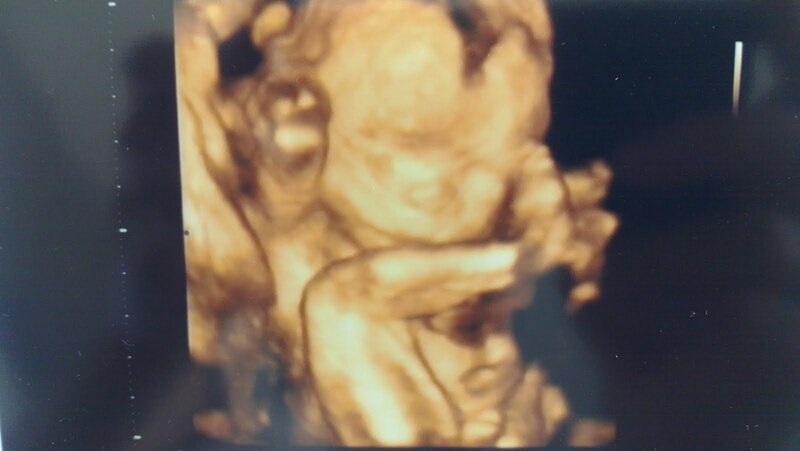 He always seems so shy, peaceful and angelic when we do our ultrasound scans. However, when the little guy’s awake – it’s like he’s practicing kungfu! 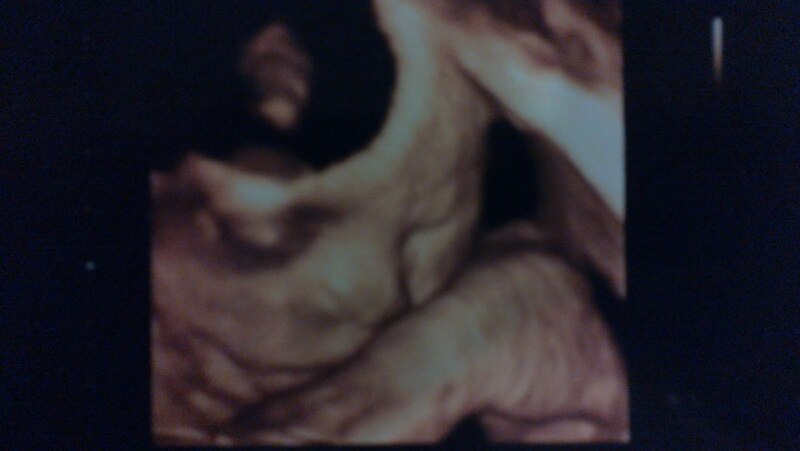 Little one was rather shy during his first 3D ultrasound scan but we managed to get this almost-full view in. Thank God all is progressing well – placenta, amniotic fluid and cord vessels; baby’s head, nervous system, chest, abdomen, limbs… and yup, he’s definitely still a boy! Gestational age is around week 20 and 21 so EDD remains sometime between mid to late November. Monthly baby checkup before we return to work tomorrow: Still a boy, spine and organs developing well, fetal measurements and both our weight gains on track. Also caught baby upside down for the first time on ultrasound — guess he’s been living it up too inside mommy this past week! Nuchal scan at this week’s regular ultrasound check came out normal, far below 2.5mm, so we opted not to pursue further tests. Also spotted a little stub between the legs — looks like we could have a boy! Signed up for the hospital’s antenatal package till delivery as well as prenatal pilates classes. Doc also cleared me for travel – so we’re going ahead with my work trip and our anniversary plans. Mom’s been with us for over a week now. Homecooked dinners after work = Yum! Best ultrasound so far: Fetus almost tripled in size. Saw tiny wriggling arms and leg stubs. Heartbeat galloping away. No visible spotting or tear left in placenta. Life is awesome. God and creation are awesome. Busy work week ahead. Slept all weekend to stock up energy reserves. Embryo crown-rump length (CRL) 1cm, heartbeat 170 BPM, estimated due date (EDD) in November. Our “cashew” lives. Tear is healing. Thank God despite nausea that’s almost all day and night.